Agbakoba made the plea in an interview with the News Agency of Nigeria (NAN) in Lagos. He said it was necessary and important that Buhari made an emergency proclamation before the National Assembly to enable him tackle the foundational problems before any meaningful structure could be built. 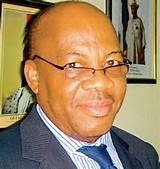 Agbakoba said that Buhari should also be ready to present his report card for the first 100 days even as he would begin on the path of rebuilding the nation. “My own advice is the president-elect needs to build on his massive goodwill and convince Nigerians that in spite of the challenges, he is up to task and he can do what to make Nigerians proud. “ And I think that he must have a milestone to report back the famous 100 days, so by September 6, 2015, he would be giving us his report card. “First would be the fragile political structure of Nigeria, if you don’t sort it out, it's unlikely that you can build anything on top. So, the constitution is the way to resolve Nigeria's political challenges. He said an amendment to empower some security institutions and the INEC as well as insulating them from executive interference was also necessary to control abuse of power. He said that Nigeria would be greater and better if the incoming administration agreed to fashion its plans after this agenda.